Discussion in 'International Heritage Railways/Tramways' started by bob.meanley, Jan 4, 2014. Sitting here browsing the forum, telly on in the background, I just happened to spot a clip of film in the docudrama "storming Juno" which shows allied troops on D Day advancing through a French village along a roadside tramway which seems to be 600mm gauge. I have seen this clip before, and have often wondered where it was, particularly as my dad was there on D day, and might have gone along this very road. Sadly he is no longer here to ask, so has anyone got any ideas on where it is and what the tramway was please? Possibly this one. Right gauge and right area. Yes this would be the C.F. du Calvados. How quaint to name a railway system after a Brandy. I suppose we could try the same but the Light & Bitter Railway doesn't quite have the same ring to it. Very droll but many readers of your post will believe you. Seems that the last train ever ran on 6.6.44! I've also often wondered about the clip to which Bob refers. In 1989 I took a school party to Normandy and at Pegasus bridge the was a old photo of the cafe (still there but now renamed) then named "Cafe de Tramway" - makes sense now. Thanks chaps. Ray. Thanks Spamcan and everyone for this. It certainly seems to fit the bill and interesting that the outbreak of hostilities actually killed the railway as well. Pity the poor souls who took the train out that morning! Certainly my Dad was in the area around Bayeux, Caen etc, so he probably came across this little line which seems to have been quite extensive in its heyday. Another preservation "might have been" if it had survived in the same way as the CF Baie-de-Somme. By the way Bob, huge respect to your dad and everyone else who went ashore on D-Day. The 600 mm C. F. de Calvados extended to over 230 km in its heyday, though much of it had closed before WW2. 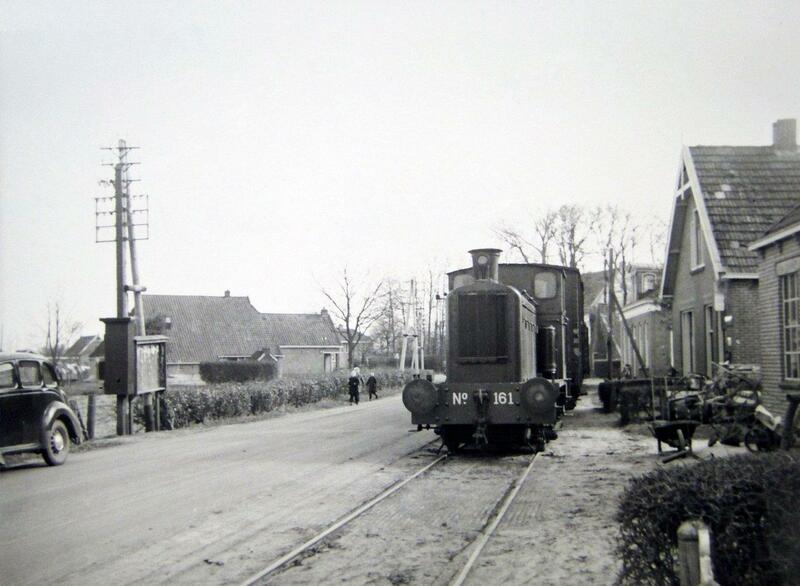 There was also an associated standard gauge light railway which ran from Courseulles, on what became Juno beach, to Caen. One of the oddities of the landings is that a few weeks after D-Day the Royal Engineers landed 3 Barclay 0-4-0 diesels, with wagons, on the beach at Courseulles and ran them into Caen along this line. I first visited the area in 1984 and noticed that the bus station at Arromanches looked distinctly railway, as indeed it was. Further investigation along the coast revealed several other surviving structures. There is interesting information on the Calvados system (and much more) in "Minor Railways of France" (W.J.K. Davies, Plateway Press) and "Railways to Victory" (Vic Mitchell, Middleton Press). This was a very convoluted system and many sections didn't "have much to do with one another". Thus Arromanches was linked to Bayeux rather than with along the coast. There are, or at least were until recently, several buildings related to the C.F. du Calvados in the forecourt of the S.N.C.F station in Bayeux. Incidentally there are road signs in Bayeux giving directions to "Gare de l'Etat" which must be prior to 1938. But this is Normandy where time can sometimes stand still as witness a spectacular Delahaye 135, also about 1938, parked outside a rural dwelling and evidently still used as a means of transport. Here is the brochure from the loco manufacturer with a photo of the beach landing. If anyone wants full detail on the CF du Calvados or other French NG lines and "knows the lingo" the Petit Trains du Jadis series published by Les Editions du Cabri in 1990 by Henri Domengie is the seminal work. I have the full set but I do not know if they are still in print (unlikely). Calvados is in the "Ouest" region volume. Absolutely agree. For anyone interested in narrow gauge railways it is a good means of gingering up knowledge of the language. Trying to speak it is better though! M. Domengie died alas before the series was completed and it was finished by another. In truth the U.K. was not much of a n.g. country compared with France. The railway in the picture is the "Chemin de Fer de Caen a la Mer" - "The Railway from Caen to the Sea" - it "did what it said on the tin" !!!! In fact this is one of the few standard gauge lines that has been detailed, at least to some extent, in the Petits Trains series - perhaps because it remained private to the end. I am not sure if it also features in "Les Trains de Jadis" the preceding series which covered France's long lost standard gauge lines, which I do not have. One other useful document when tracing the railways of the D-Day area is the reprint (or even the original if you are lucky) of the Michelin 1cm:2km map number 102 "Bataille de Normandie" originally published in 1947. My reprint was issued with the Michelin Red Guide of 1994 (50th anniversary). No doubt there are copies on E Bay. It shows the railways still in situ at the time as well as the basics of the military movements across the region. Around Juno, only the aforementioned Caen a la Mer and the CF du Calvados Caen - Colleville - Courseulles lines are shown, the latter of course passing Pegasus Bridge, although no doubt remnants of other lines also remained at that time (and to this day). I believe the Drewry shunter shown coming ashore was the one that ended up at Merstham Quarry in Surrey (sadly scrapped). If it's got big/lots of wheels, makes a noise and smells funny then I like it! Ah ok, and I presume the one on the landing craft is No.162 now based in Holland? That's correct, four were landed on the beach, the other eleven at Cherbourg about a month later. One of the officers involved in the beach landing was Capt. (later Lt. Col.) Henry Danatt R.E., who I met a couple of times. Apparently, the reason for the urgency in getting locos "on the ground" was partly to speed-up the movement of material off the beach-head, but also because, in spite of the devastation of Caen, the railway facilities were relatively repairable. Locos, however were a problem- many of the existing French machines had been sabotaged to various extents and even when repaired, the unfamiliar designs (compounds, etc) presented a challenge to British crews. Many of the French cheminots had fled to the countryside to escape the bombardment and were reluctant to return, as their homes were largely flattened and there were no facilities of any kind in the town. A couple of coincidences- Henry Danatt was at one time assistant editor of a national railway magazine (RM?) and he was a relative (uncle I think) of Gen. Lord (Richard) Dannatt, the former Chief of the General Staff. Final point regarding the locos. They have been described as Drewrys, but I think that those actually landed on the beach were built by Andrew Barclay and it's interesting that Drewry's construction contractors, the Vulcan Foundry, claimed in their publicity brochure some credit for the beach landings! In all fairness, there wasn't much difference- the most noticeable being the radiator and the brass-capped steam-type chimney on the Barclays. Mechanically, the two types were identical and were the forerunners of the BR class 03 and 04.